The Oxford Handbook of Zooarchaeology offers a cutting-edge compendium of zooarchaeology the world over that seeks to provide a holistic view of the role played by animals in shaping human history, with case studies from five continents examining human-animal relationships across a range of geographical, historical, and cultural contexts. Building our understanding of ecosystems with a synthesized biogeoscience approach, this volume focuses on the couplings between ecological processes and the geosphere, hydrosphere and atmosphere. It is ideal for researchers and students in both ecology and the physical sciences. The first publication to include a condensed, yet complete treatment of anaphora and modality, this volume's integrated theory combines classical formal semantics and modern dynamic semantics without altering the fundamental linguistic paradigm. This practical book on wetland techniques provides an overview of the various methods that have been used or developed by researchers and practitioners to study, monitor, manage, or create wetlands. 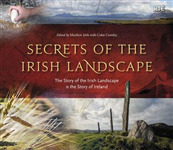 This book examines many little understood aspects of the Irish Landscape from the last Ice Age until now. Historians, archaeologists, biologists and earth scientists each bring their unique take on how the landscape and the life it supports have been crafted by natural and human events.